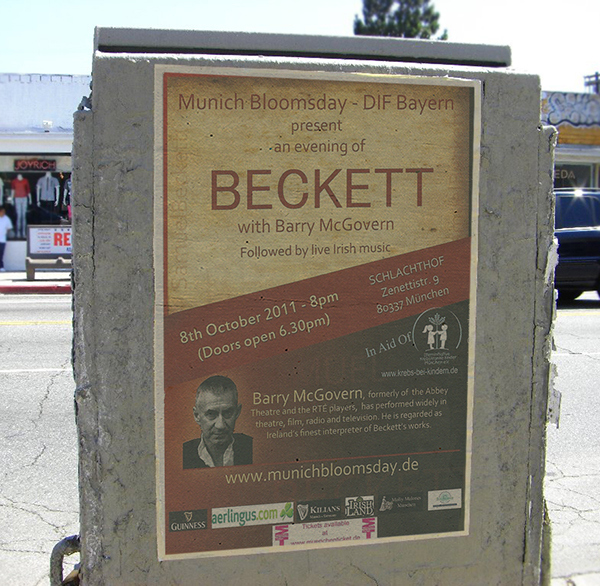 A DIF-Bayern event from the organizers of Munich Bloomsday sponsored by the Embassy of Ireland, Berlin. 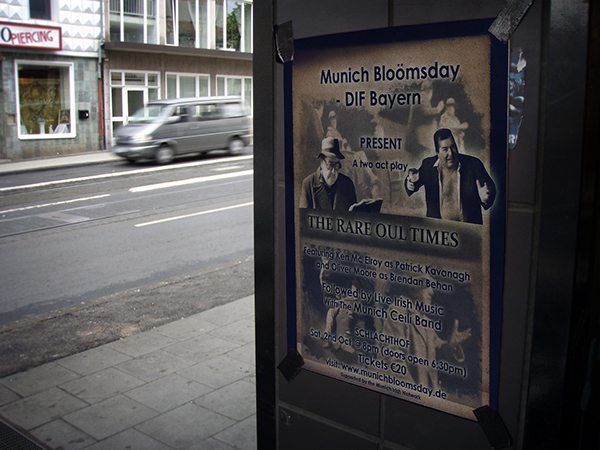 Munich Bloomsday started in 2009 and became an annual event that has been taking place in Munich, Germany. 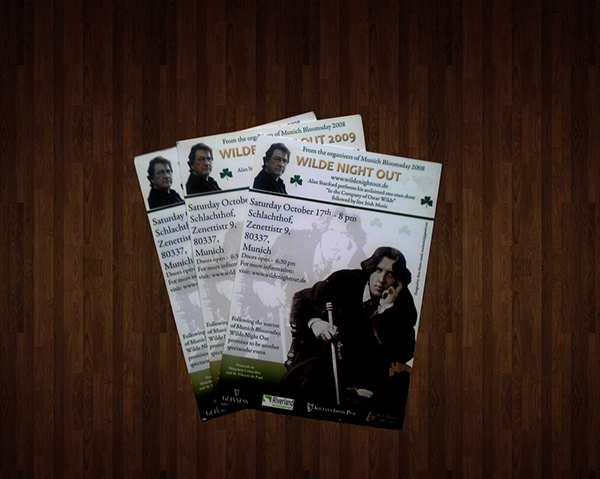 Every year a show takes place which is usually a one man show on a famous Irish poet/ novelist. 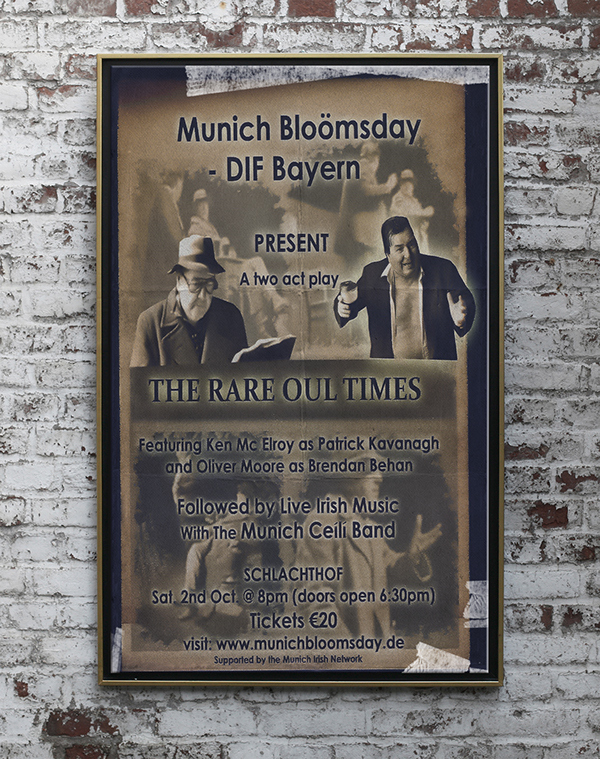 There has been shows on Oscar Wilde, Samuel Beckett and James Joyce. Here are some of the posters and fliers I designed for the shows. 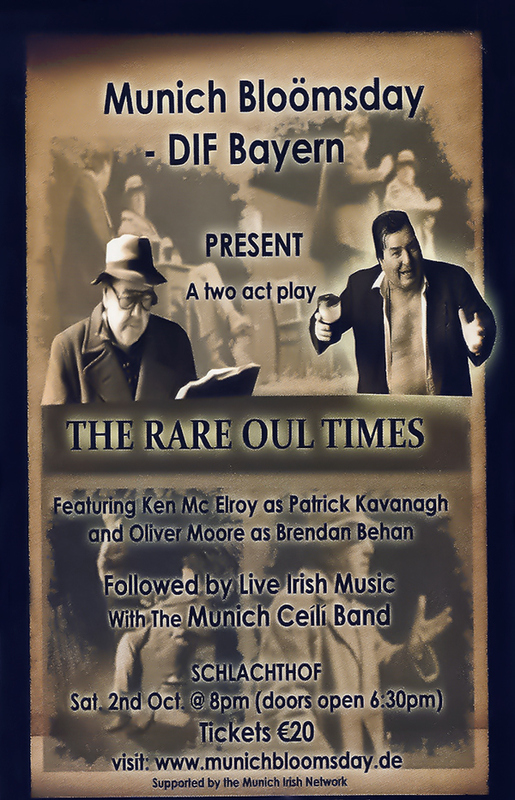 'The rare ol Times' a comedy about the old times in Ireland. 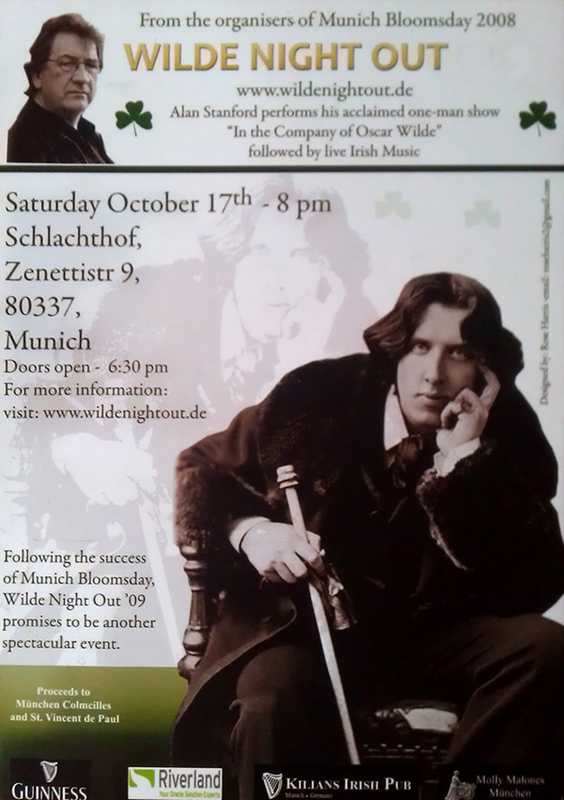 'Wilde Night out' actor Alan Stanford preformed his acclaimed one man show called 'In the Company of Oscar Wilde' 'Beckett' a show on Samual Beckett preformed by Barry McGovern.